A company is capitalizing on Obamamania by offering to crop out the zero (your ex) on your Valentine's Day card and replace him with the hero (President Barack Obama). ScanCafe.com says of this service: "Much of the nation is in love with our new President. So we want to use our world-class photo restoration skills to give people a special Valentine's Day treat. 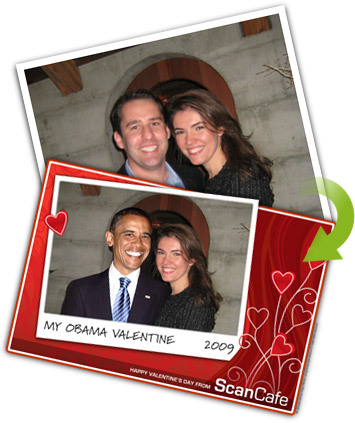 Send us a photo of you in a romantic setting, and we'll add our newly-inaugurated President, Barack Obama -- free! We can even remove people from the photo, like in the example at right, making it a fun way to 'spruce up' a picture of you and your ex." You start by selecting "a high-resolution image of yourself, alone or with someone else, in a romantic setting." Then you upload it to their website "with instructions on whom to remove." Of course, you could just use Photoshop to do this on your own. 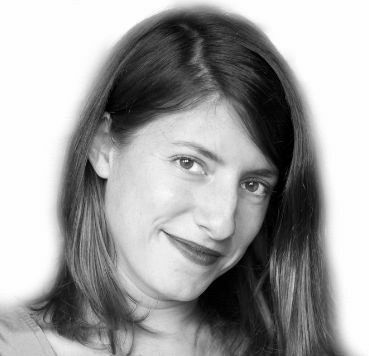 And if you do, please send it to style@huffingtonpost.com. Thank you.